Priyanka Chopra has amazed the whole world with her talents, be it acting or singing. But it's not the end! The global icon has now taken everyone by surprise by flaunting her new talent. She took to her Instagram and shared a picture, flaunting the painter in her. She captioned the snap, "Sunday shenanigans.. thank u @jazmasri @mdesante for the lesson!! #paintingisfun." 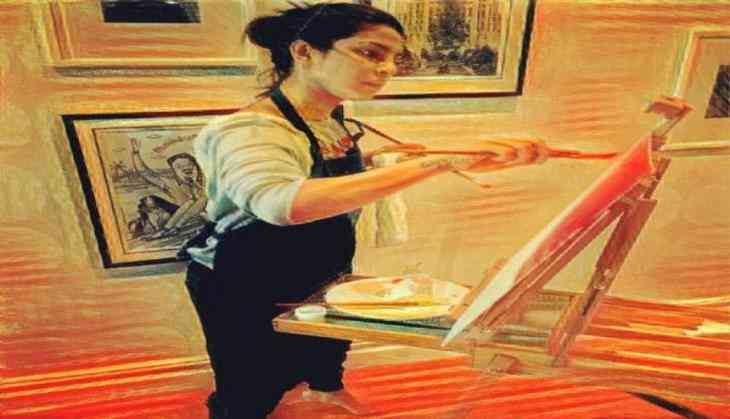 In the picture, the 34-year-old star is seen holding a palette and painting her imagination on a canvas. Now let's wait if we get to see her piece of art. On the professional front, Priyanka Chopra is busy promoting his Hollywood debut 'Baywatch'. Helmed by Seth Gordon, the flick also stars Dwayne Johnson and Zac Efron. 'Baywatch' is scheduled to release on May 26. 102 Not-Out: Amitabh Bachchan and Rishi Kapoor to team up? READ NEXT >> 102 Not-Out: Amitabh Bachchan and Rishi Kapoor to team up?